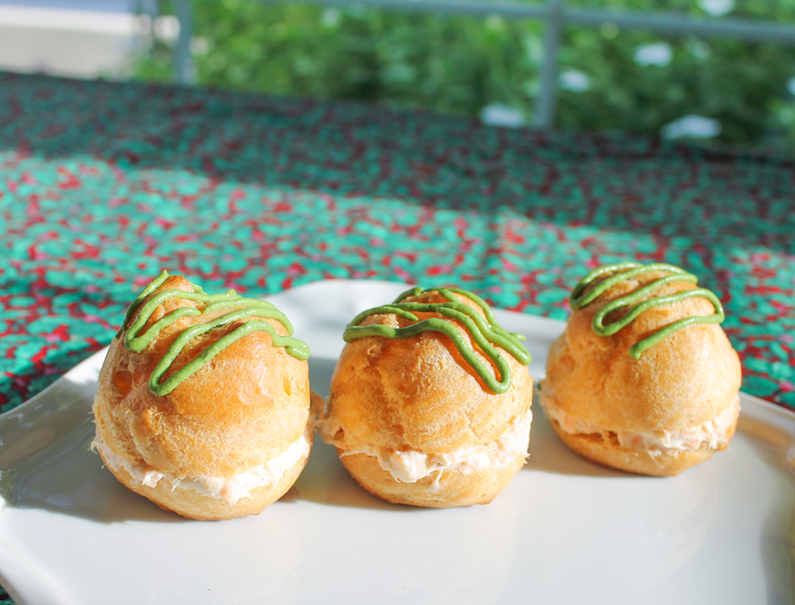 Airy and light, choux buns can be stuffed with either sweet or savory fillings. My hot smoked salmon choux bites have a rich, flavorful filling that perfectly complements the fluffy buns. Serve these at your next gathering and watch them disappear. 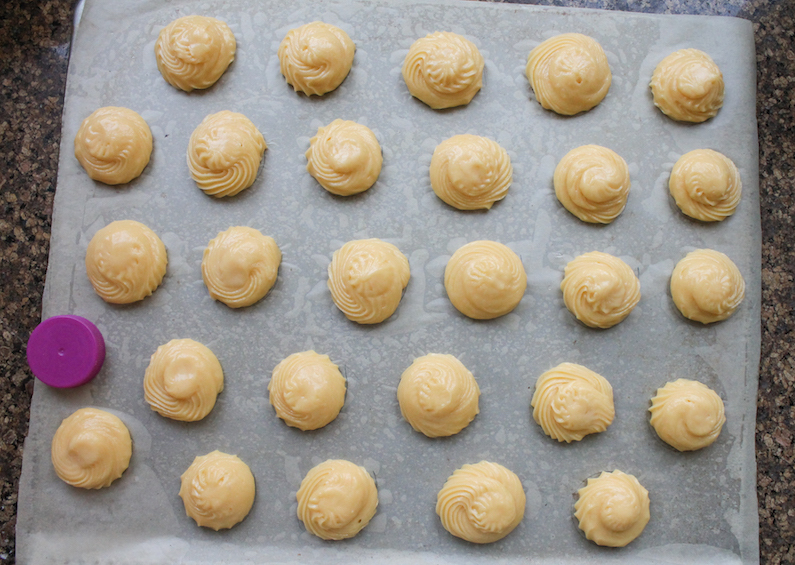 Choux pastry often shows up in patisseries or bakeries in fancy shapes like eclairs or choux swans filled with sweetened custards or whipped cream so most folks imagine it must be hard to make. Nothing could be further from the truth. 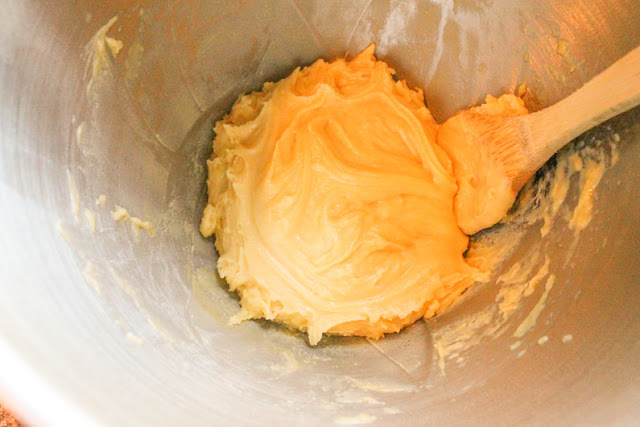 In fact, although I used to beat the requisite eggs into the dough by hand, I have discovered that it can be done in my stand mixer. Now choux is even faster and easier than ever to make. 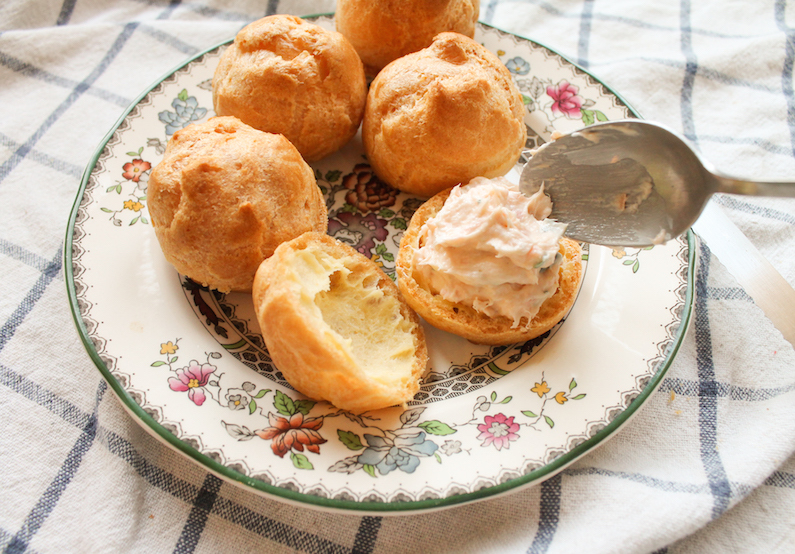 One of the things I like best about choux pastry is that it lends itself equally well to sweet desserts, like my lemon raspberry croquembouche or savory appetizers, like these hot smoked salmon choux bites. And, another bonus, it is made with ingredients most people almost invariably have on hand. Water, flour, butter and eggs. And just a little of those four go a long way! 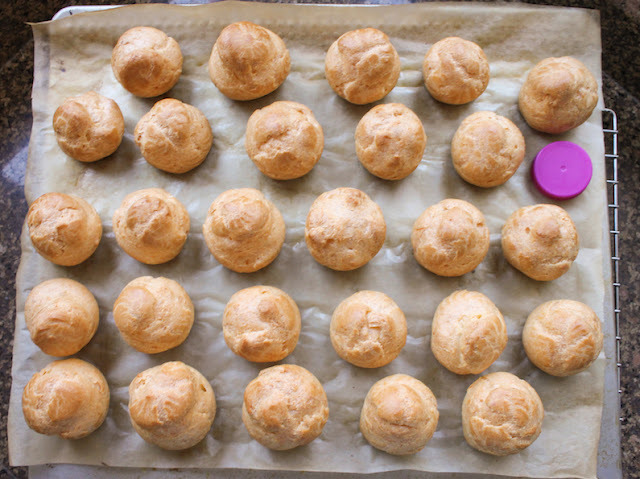 This month my fellow Baking Bloggers are sharing our favorite choux pastry recipes. If you’ve been nervous about giving it a try, perhaps we can convince you that it really is easy. 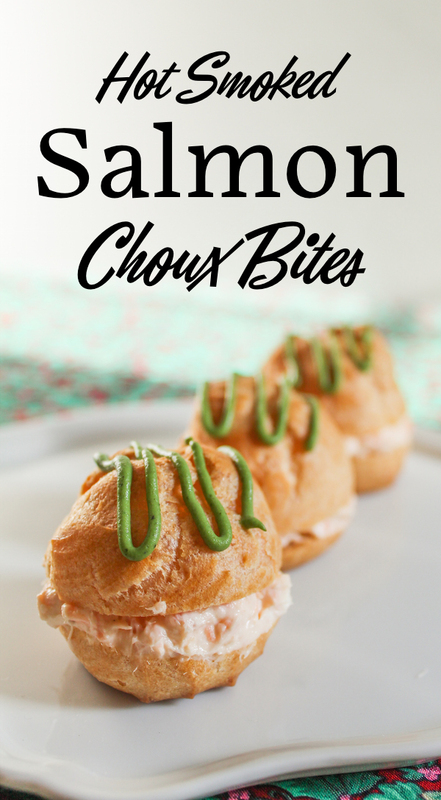 These tasty hot smoked salmon choux bites are a great make-ahead appetizer. 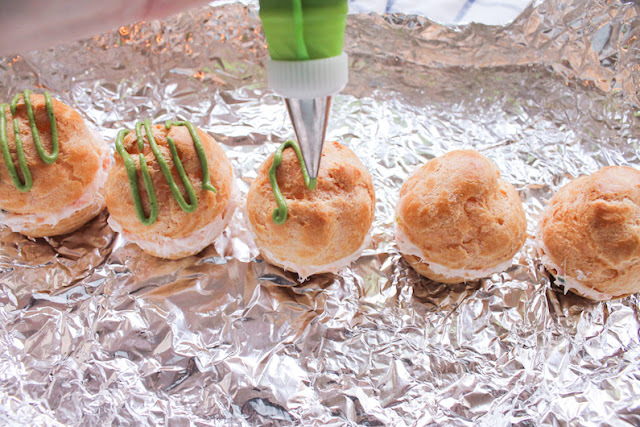 Bake your choux buns and make your filling, just fill and serve at party time. Makes about 24-30. Optional for decorating: Maille mustard with fine herbs or tarragon. I used the mustard with tarragon, which was quite delicious because salmon and mustard do go nicely together, especially with a hot smoked salmon filling as rich as this one. But I must confess that I bought it initially just because of the color. Perhaps you will be lucky enough to find it where you live. Preheat your oven to 445°F or 230°C and prepare your baking sheet by lining it with baking parchment stuck down with a little non-stick spray. To make your choux pastry buns, sift together your flour and a pinch of salt and put it right next to the stove in readiness. In a medium pot, combine the butter and water and bring to the boil. 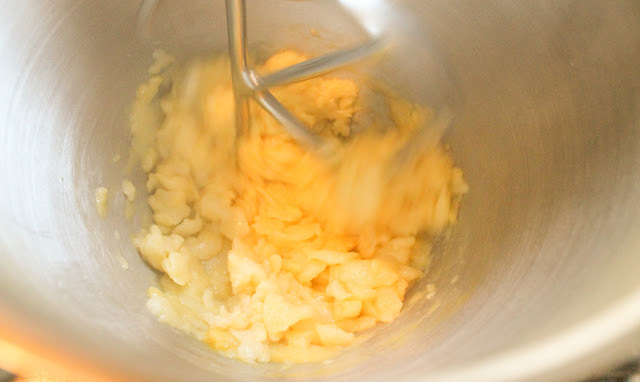 Pour the flour/salt mixture into the boiling water/butter all at once. Stir vigorously with a wooden spoon until the mixture forms a ball and pulls right away from the sides. This takes just a minute or two. Now take the pot off of the stove and tip the mixture into your stand mixer. (This can also be done the traditional way, by hand with a wooden spoon. Check out my croquembouche recipe to see how that's done.) Add the eggs, one at a time, beating well. It looks like the egg won’t mix in and the dough starts to fall apart but keep mixing and after a little beating, the dough comes together again and it’s time to add the second egg. 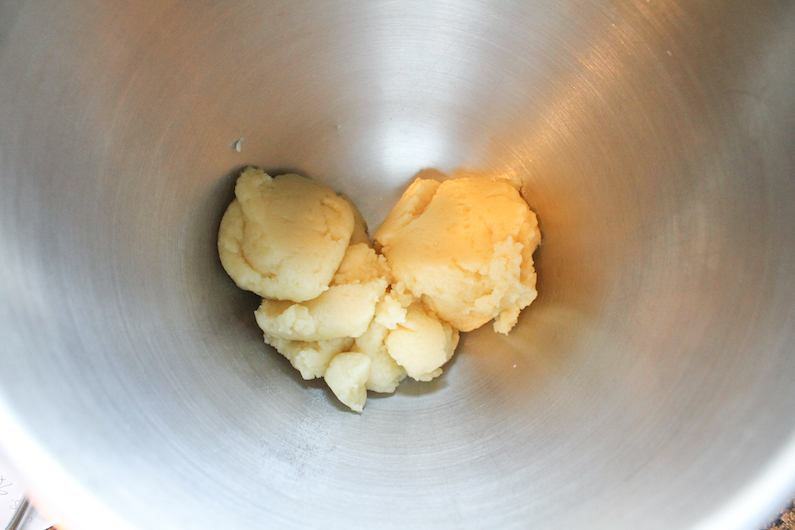 After that egg has been incorporated into the dough, put the dough by spoonfuls into a piping bag with a large tip. Pipe the soft dough on the parchment paper in 1 inch or 2.5cm circles about an equal measure apart from each other, using your circles as a guide, if you followed the tip above. Poke down any pointy tops with a damp finger. Bake the choux in your preheated oven for 10 minutes then turn the temperature down to 350°F or 180°C and bake for a further 25-30 minutes or until golden. Remove from the oven and poke a hole in one side of each choux bun with a toothpick. This allows the steam to escape and helps the choux bun keep its shape as it cools. Cool completely on a wire rack. While the choux buns are baking, you can make your hot smoked salmon filling. 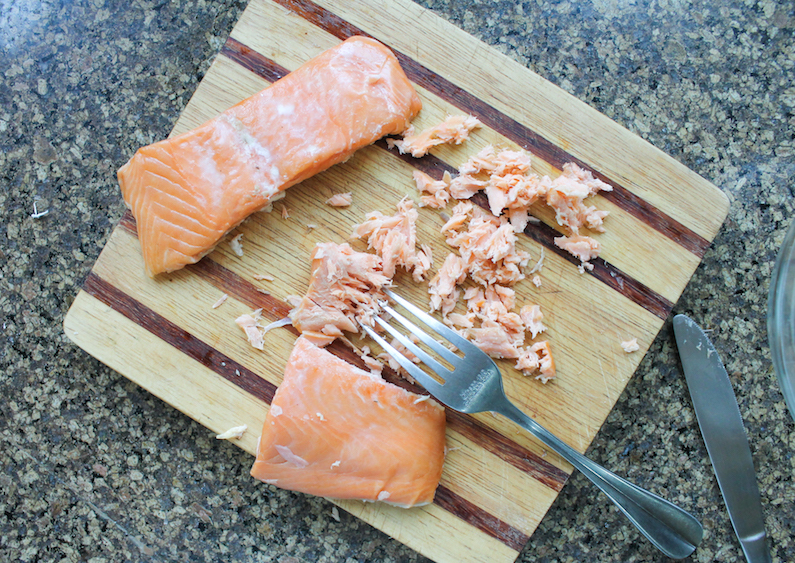 Use a fork to flake the fish, discarding any bones that might have been missed when it was filleted. In a bowl, mix together your filling ingredients up to the cream. Add and mix in cream a couple of tablespoons at a time, until you get a nice consistency to your filling, not too soft but definitely spoon-able. You may not use all of the cream. 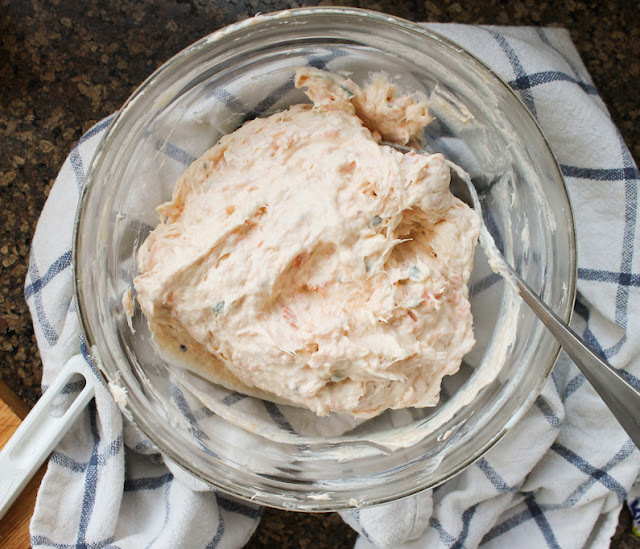 Or if your salmon was on the dry side, you might want a little more. If you aren’t serving the hot smoked salmon choux bites immediately, store the filling covered with cling film in the refrigerator and, once the choux buns are completely cooled, store them in an airtight container. 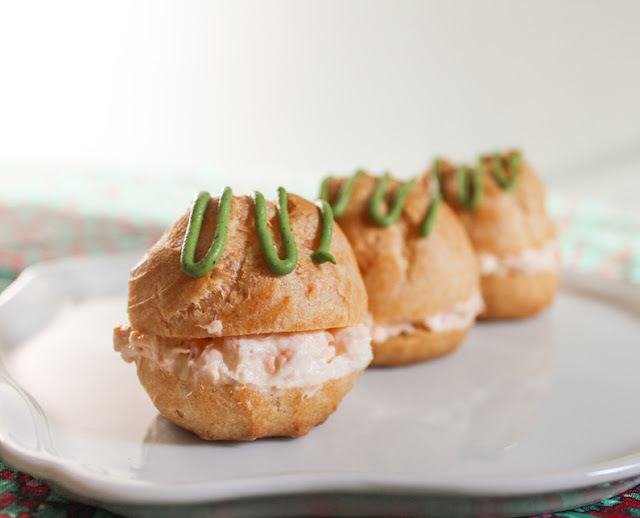 When you are ready to serve, cut the choux buns in half and fill with a good spoon of the chilled hot smoked salmon filling. Put the top of the choux bun back on. Decorate by piping on some herby mustard, if desired. You may have noticed that I made so many more than are in the photographs. That’s because I took some to a dinner party and filled them there. The rest? I ate them. So good! Many thanks to one of our fearless leaders and this month’s host, Sue of Palatable Pastime. Check out all the choux pastry recipes!